Twitter Link not Working for User Posted Comment + Twitter Avatar possible? I'm going some testing with the Comments+ plugin and when I connect my Twitter account and make a comment, everything works fine including it posting a Tweet. This is likely because twitter doesn't allow access to account emails, can you try activating 1 of these 2 add-ons. It will either create a fake email(which you may have active now) or you can have it link to the users twitter profile. Settings > Comments Plus > Add-ons. That was it! WOW! I am really impressed with your quick response time. Two more questions for you? First, since I am ONLY allowing Twitter as a social network for comments, how I can get rid of the "click on a tab" text? Just need to know what file and <div> to delete? I figured out the Twitter avatar issue but can someone tell me where I can edit the "Choose a Social Tab" text? Also, I just tested this on an iphone but when I tap "sign in with Twitter". I new window opens and it just says please wait... It does not load the Twitter app authorization/login page like it does on the desktop. I'm using an iPhone 5c. Any ideas? Let's hide that text with CSS rather than deleting it from the template file, so the change will stick when the plugin updates next. Can you link me to a page where I can see your comment form, so I can give you the exact selector to target? I can also test your login with Twitter issue on my phone with a link. I'm not quite sure what might be causing that issue, so testing it may reveal a clue or two. You can see it here on this link at the very bottom. You can also test this on your phone. On my iPhone 5c, with the 2nd to latest software update, it opens a new safari window but just says about:blank "please wait..." and does not direct to the Twitter login page. My friend said his works though but he's on an Android. With the login issue, I got a step further than you did on your site, I was able to login, but then the twitter tab didn't open a comment form. Can you try clearing the browser cache on your iPhone (http://support.apple.com/kb/TA38615?viewlocale=en_US) and see if you can get as far as I got? Hmm.. nope, even after clearing cache I just get a blank tab. That tells me the process itself is working as it should. I could replicate the issue when I turned on throttling in the emulator, any chance your data is being squeezed by your cellular provider? Let me know! We'll get this all figured out. Hmm.. you know, it's probably just a very rare situation a seem to run into. I have had several others try it and it seems to work fine. Thanks so much for your help! No problem! Let us know if it's still causing you issues. 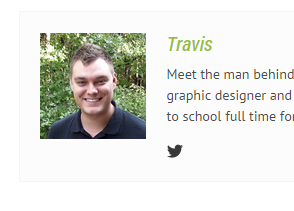 Have a great week, Travis!